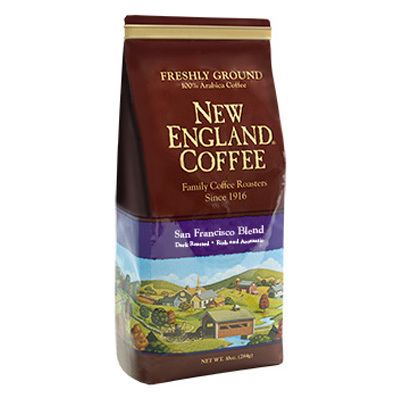 Rich milk chocolate and creamy cappuccino flavors are blended with our signature coffee. Chocolate Cappuccino coffee will satisfy both chocolate lovers and coffee aficionados. I’ve tried several flavors and never been disappointed. Will please make your Chocolate Cappuccino into kCups single serve? My office kuerig cup holder does not come out. It is an older machine!? Please and thank you!! Plus when I travel I can take it with me!! Love this .. in my dreams it would come in decaf too! I love the chocolate cappuccino flavored coffee. Please consider making a decafinated version. I too love the chocolate cappuccino and would like it in decaffeinated. Absolutely love this coffee. Wish it came in bigger bags. A hint of chocolate without the calories.. It was okay. This isn’t one of NE Coffee’s best. It’s like a lightly light roast. First let me say, I do not like flavored coffee, that said, a friend came back from a trip and had this coffee for me. My son made a pot and it smelled so good I tried it and now I’m hooked !!! So much that I had to buy more and also the French Vanilla. How you got such great flavor into the grounds, I don’t know but I love it. My first sip was so-so but then, it tasted like a dark, chocolate cake with chocolate icing… Great job !!!! Yummy! A great way to enjoy a relaxing evening. Chocolate Cappuccino is my favorite. I second that I would like a decaffeinated version for enjoying with my dessert at night. Chocolate Cappuccino is my favorite. 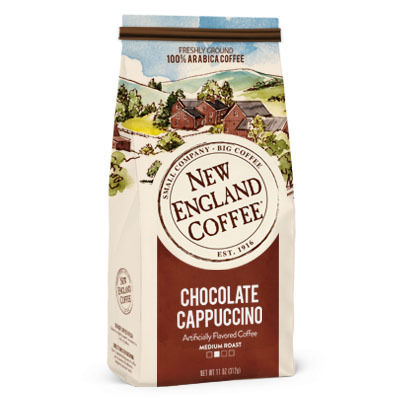 It’s the best chocolate flavored coffee I’ve found. Only wish I could find it in a local store! Also love Your French Vanilla. Love it! But for health reasons (caffeine) I cant indulge. Plleeease make a decaf! !